On March 3, 2018, the victim was involved in a minor accident with a black BMW License Plate JRW2929, at the 7-11 convenience store located at 9351 LBJ Freeway at Abrams Road. The black BMW, (seen below) sped away without providing information to the victim. While fleeing the scene, the front right passenger, sprayed the victim with pepper spray. 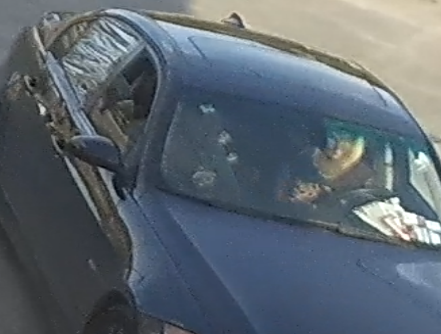 The front right passenger is described as a Black female with blonde hair. 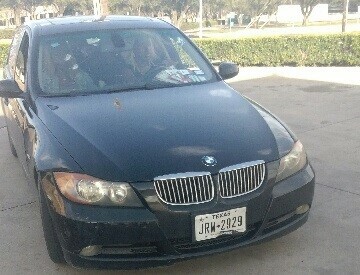 The driver on the BMW is also described as a Black female with blonde hair and the rear passenger is described as a Black male. If you have any information regarding the occupants of this vehicle, please contact Crimes Against Persons Detective K. Hubner, #8687 at 214-671-3639. This incident is documented on Case Number 045570-2018.